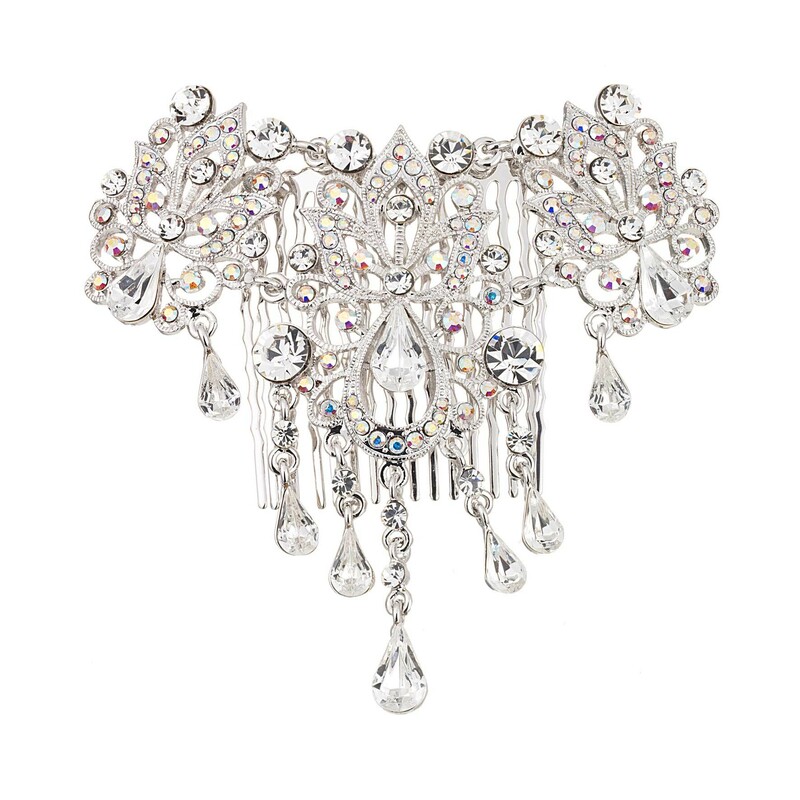 Teardrop Ornate Patterned AB and Clear Swarovski Crystal Hair Comb There are 7 small free moving dangles. 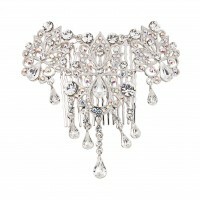 Suitable for Wedding jewellery, ballroom, prom and ball dances. 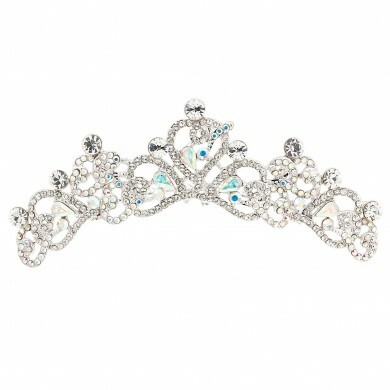 Also available in clear Swarovski Crystal.